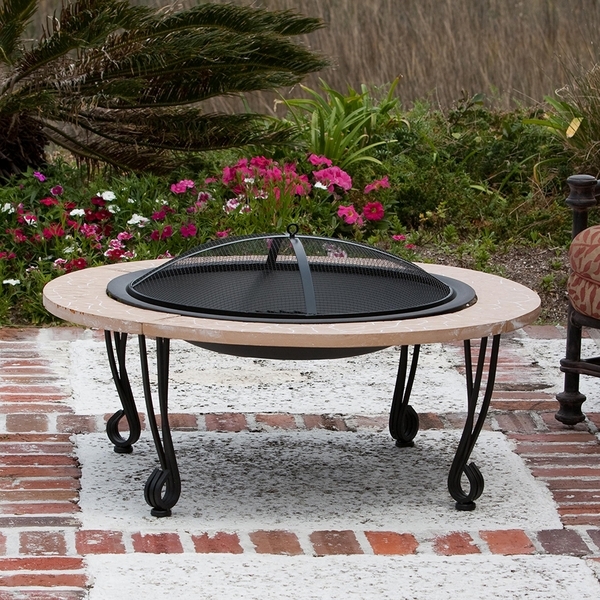 Nothing says fun in the outdoors like this Fire Sense Cast Iron Stone Faux Finish Fire Pit. Fire pits are versatile, easy to work with, and create fantastic ambience wherever you place them. They can turn any outdoor area into the center of attention at parties or just on an evening with the family. Fire Sense fire pits feature solid construction and use the best materials available. All of the paint is high temperature resistant to make sure your fire pit is around for years to come. The fire pits look great, they work even better, and the screen lifting tool makes operation a snap. Anybody's back yard would look great with the addition of a quality fire pit. It's always the center of attention. Put the Fire Sense Cast Iron Stone Faux Finish Fire Pit in your backyard, though, and you might have to get a higher fence to keep your neighbors from hopping over to use it.